When I was around 18 or 19, my dream was to meet and take a photo of Bob Dylan. I looked for him at all of the L.A. clubs back in the 70's. No luck. He never went out and if he did he wore sunglasses and would run away screeming if he saw a camera. Sort of like a rock n' roll Greta Garbo or something. Then one evening in 1976, I struck gold. I was invited by my friend Ronnie Blakley to attend her showcase at The Roxy and there was Bob in the flesh. After the set, I had an introudtion to Bob and he proclaimed "you look like me kid". I did indeed and the magical evening commenced for teenage me. We were all in the dessing room when someone told Bob that this actor named Robert DeNiro was downstaiirs. "Robert who"? I did not have a clue, but there I went downstairs with Sally Kirkland on a mission from Bob to convince DeNiro to come up and meet a living legend. Dylan set up the photo and kept asking me "how much are you going to make from this photo kido?" He undersood the power of his god like celebrity. The photo was published in a new magazine called PEOPLE and I was on my way. 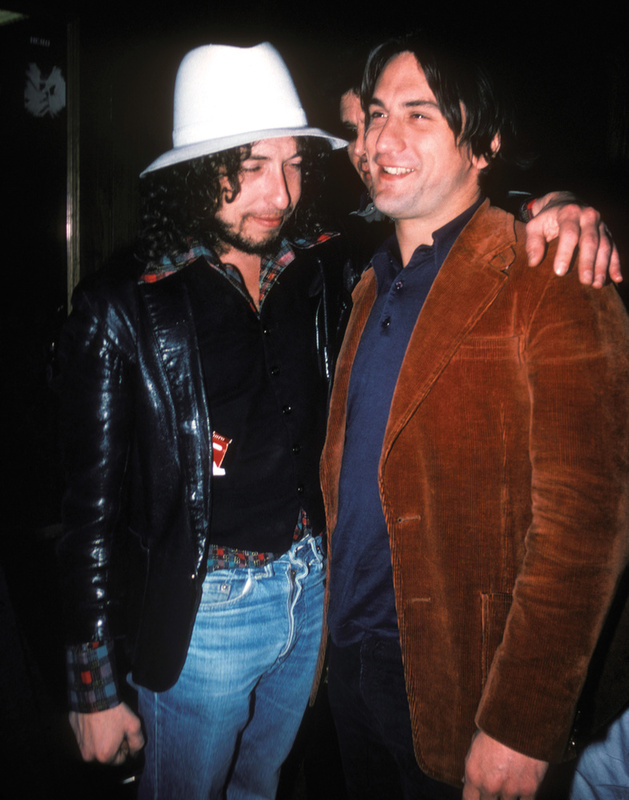 I ran into Dylan years later and I mentioned the evening, but he was not interested in the slightest. Sometimes it's best not to revisit a wonderful moment like this one.